First half set to be the weakest in four years. June auto sales are holding steady, but the second half is expected to be soft. 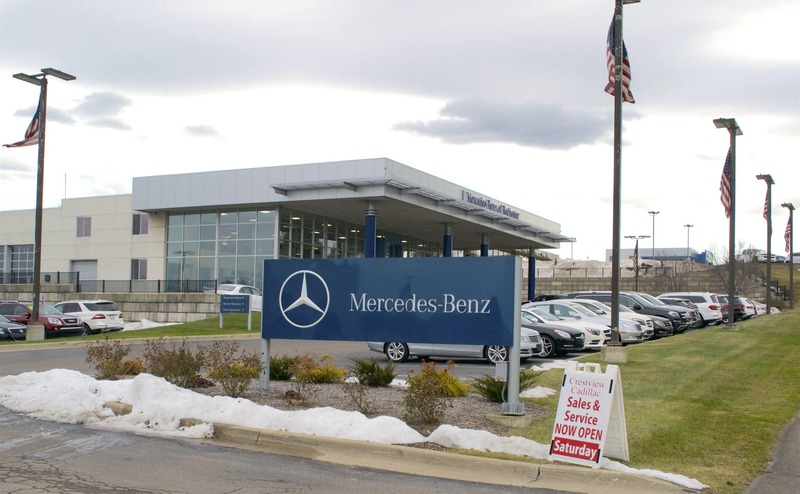 New vehicle sales in June appear to be holding steady but are expected to decline during the second half of the year, analysts reported this week. Cox Automotive said it expected June to rise 2.1% from last year, resulting in a seasonally adjusted annual rate of 16.9 million. The June sales pace is up from last year’s 16.6 million rate and is up slightly from the 16.8 million level in May 2018, Cox said. Through the first five months of 2018, the SAAR has averaged 17.1 million. J.D. Power and LMC Automotive predicted a 0.6% decrease compared with June 2017. “The first half of 2018 will deliver the weakest industry retail sales results since 2014,” said Thomas King, senior vice president of the Data and Analytics Division at J.D. Power. “However, weaker sales volumes are being offset by higher transaction prices, which are expected to reach $32,221 for the first half, up $824 compared with 2017.” This means consumers are on pace to spend $215 billion on new vehicles, nearly $5 billion more than the first six months of 2017. The first half sales of 2018 will be the "weakest" in nearly five years, according to analysts. “Despite the dip in retail sales, absolute volumes remain strong and from a consumer expenditure perspective, 2018 is expected to be another record-breaking year for the industry,” King added. On the heels of those five strong months and with a June SAAR forecast near 17 million, Cox Automotive is moving its full-year forecast up from 16.7 to 16.8 million. “Buying conditions for higher-income Americans, who are the new-vehicle market’s core constituents, have been very favorable as tax reform has improved income and wealth for these potential buyers. Consumer confidence has also held at near-record levels, buoyed by wage growth and historically low unemployment,” Cox said. The Cox Automotive team believes the second half of 2018 will see lower sales than the first half, due to the negative impact of rising interest rates and overall market volatility. 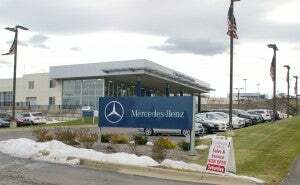 Tariffs on imported cars, if enacted, has the potential to reduce sales significantly. 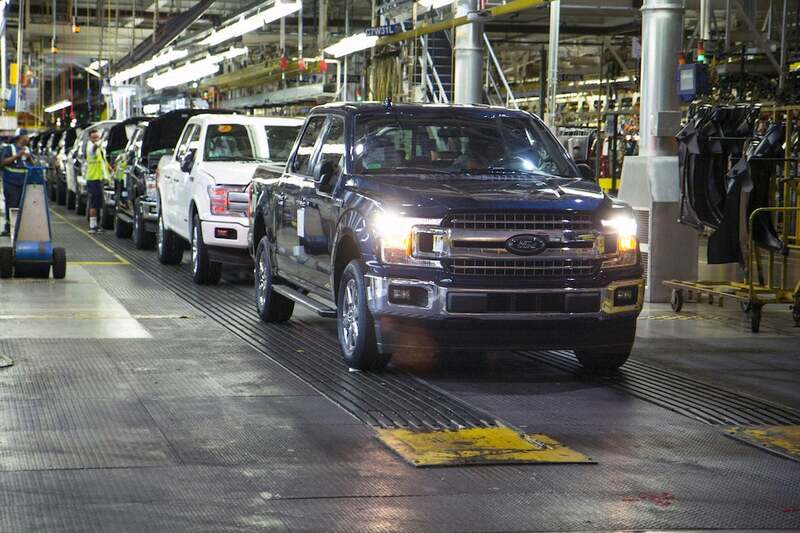 Trucks are still selling strong in this weaker sales year. In the face of the risk, LMC’s base case forecast for 2018 total light-vehicle sales is holding at 17.1 million, a decrease of 0.4% from 2017. The retail light-vehicle forecast remains at 13.8 million units, a decline of 1.5% from 2017. 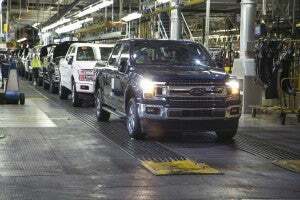 Fleet volume is expected to grow by 115,000 units, or 3.5%, and represents 19.5% of total light-vehicle sales.New-vehicle sales in June appear to be holding steady but are expected to decline during the second half of the year, analysts reported this week. This entry was posted on Thursday, June 28th, 2018 at and is filed under Automakers, Automobiles, Business, Markets, Monthly Results, Sales, Sales, Trends, U.S./North America. You can follow any responses to this entry through the RSS 2.0 feed. Both comments and pings are currently closed.